Speak to a team of residential electricians that you know you can count on. The team at Kirin Electrical are experts in the field having operated in Sydney for more than 10 years. We’ve worked on thousands of domestic jobs on all kinds of homes and residential buildings including hot water service, safety inspections and the installation of power points and wall sockets. From fitting out all electrical requirements for a new home or small one-off jobs, Kirin Electrical provide the full range of electrical services you’re looking for. We also provide emergency electrician services 24/7 across Sydney. We all know how stressful and inconvenient it can be to have to deal with electrical issues at your business. When these issues do come up, you wanted to be sure you’re dealing with an electrical contractor that is going to get the work done as quickly and effectively as possible. Based in Sydney, Kirin Electrical are the best in the business when it comes to commercial electrical installations and ongoing maintenance too. Kirin Electrical has a large service team of electricians who understand the urgent nature of strata and a maintenance work. We are dedicated to providing an unbeatable level of customer service and safety to your occupants and owners. Our response time is within a couple of hours on emergency strata and residential electrical work and we also have our after-hours contact number available for 24/7 emergencies. 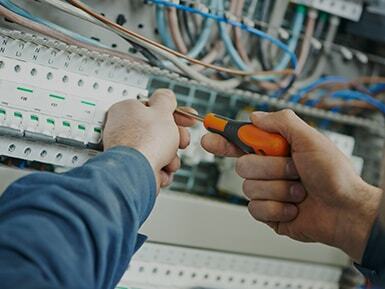 Our team of Master Electricians has a proven track record in solving difficult electrical problems, due to our vast experience in the residential and commercial markets.